What Creates Great Manager Biography? What Makes Good Manager Biography? Just What Is Your Manager Biography? A management biography as well as author biography or biography presentation is a simple short description of who you are and what you have achieved within your working life. Usually, less than a page in length it should be a highly focused document that imparts a maximum amount of positive information about you as well as allowing the reader to see a little of your personal side. A manager biography has many uses from describing you on a company website through to giving the bank manager an idea of how safe their money is when applying for a loan. Obviously, your profile would be written differently depending on who the target audience might be; while you may want to have an amusing anecdote included within your bio in the company magazine you would avoid it in the one seen by the bank. Know your audience. 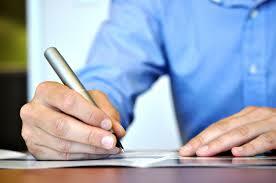 Before you write your management bio, you should know to whom you are writing it for. Will it be for the HR only or for the CEO of the company? Once you identify your audience, it will be easier to format your biography accordingly. Background information. It’s important that you discuss your background such as the education you’ve received, what school you came from, training and seminars you’ve attended that are related to the position that you are applying for. Don’t forget to include what made you choose this kind of profession. Achievements. Since you are moving up the corporate ladder, it is only right that you highlight what you’ve accomplished so far that qualifies you for the job. You need to be specific with your writing because your readers would want to know how you accomplished your tasks. Expertise. Your readers will like to know how good you are as a manager. Talk about what areas of expertise you have that are related to being a manager. Proofread. It is important that you go over what you’ve written not only to check for punctuation and grammar errors but to also see whether you’ve put all the important facts in your biography. Never submit the first draft because there is always room for improvement. What Should a Good Manager Biography Cover? Does a Management Bio Have to Follow a Rigid Style? The format that you use should be appropriate for where the manager biography is going to be used. Typically you will be asked to provide only a single page or even less. Your bio should be written in a narrative style, that is like telling a story and should be in the third person; about you. You should keep the language simple as it should be easy to understand and include your most recent accomplishments rather than ancient history. What you write should be targeted towards the specific use for the bio. Applying as a manager is a big step to take in your career but one that is worth trying especially if you have the background, the experience, and the credentials to do so. Aside from sending your CV, you will also need to write a manager biography to go along with your application because it is here where you will get to share what you’ve accomplished so far as well as what makes you a good candidate for the managerial position. A typical bio should include your personal information, education, and experiences but there are ways to make it an impressive read. Your manager biography should give justice to all the accomplishments you’ve done so far in your career so if you feel that your biography needs more flair to it or if you want it to be more interesting, there is no harm in getting help from the pros. 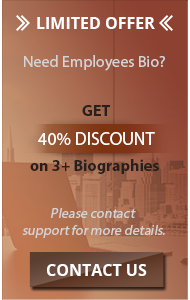 Our biography writing company not only handles military biography, doctor biography, and so on, but we are also qualified in writing a biography for aspiring managers out there. 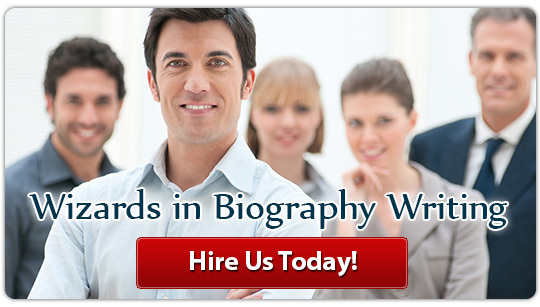 Send your order for a biography today and we’ll get our experts to work on it fast!